Strike First Records freshly signed group, Nothing Til Blood, has recently released the music video for their song “Stands True”. You can pre-order their upcoming cd When Lambs Become Lions which is set to start shipping out on 9/22 here. Hope you enjoy! 4-piece metal group from Stratford Connecticut, Ark of the Covenant, have recently released a music video for the song “Locusts Like Horses”. This track is off their debut EP titled Separation, which was released on May 10th 2011 via Strike First Records. Enjoy! 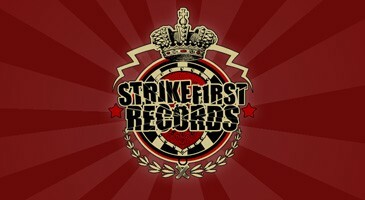 Ace Augustine have signed with Strike First Records. Congrats guys, we wish you the best of luck!